Now that I’ve firmly planted that earworm, let me explain. I have been living in the house formerly known as “home” for a while now. The agreement was that I would leave when I bought a house or October 1st, whichever came first. Anyone who’s read my “Realtor.com is Tinder for Houses” post knows how the house hunt went (is going). So here we are at October 1st and I’ve packed up the last of my things. It’s funny because this date marks the four year anniversary of Aaron moving to Maine for his job. We didn’t pick the date, the mediator suggested it, but it feels oddly fitting. I am very thankful that we made that big change four years ago. I cannot imagine what this experience would be like if I didn’t have an amazing network of family and friends nearby. I’m now living a somewhat nomadic life with a cache of furniture and home goods stashed in a storage unit and a smattering of smaller items traveling with me. I’ll spend three weeks living with my parents, then winter in the house of some very generous snowbirds. 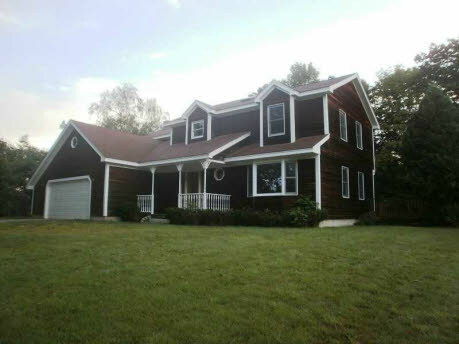 Over the last few weeks, I’ve been coaching myself out of calling the house in Windham “home” because, even though those four walls are comfortable and familiar, it had only been a house for quite some time. Not my home, just the house I’m staying in. You see, it stopped being my home on August 5th, when our divorce was finalized and the settlement stated that the title would be carry his name only. But it actually stopped being home much earlier than that, nearer to April, when we started seeing the mediator and told him that Aaron was keeping the property. So I’ve actually been housed but “home”less for a while now. I’ve changed locations and even though my parents house used to be “home,” it is still only filling the role of housing. The snowbirds’ house also doesn’t earn that title, it is just another a temporary stop along my journey home.